Chas Chandler was born in Heaton, Newcastle, on 18th December 1938; he lived at no. 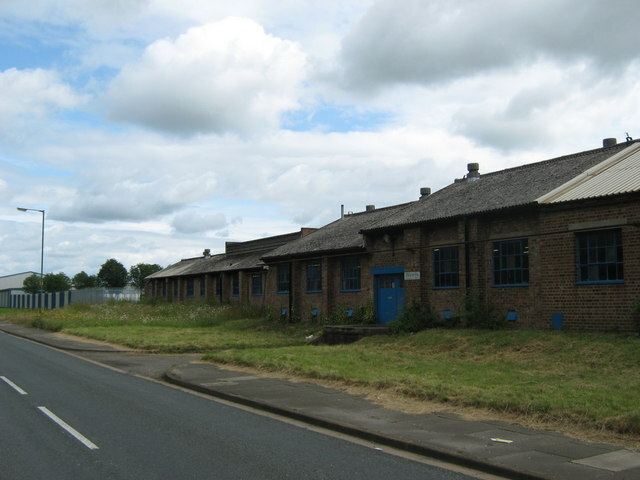 35, Second Avenue in Heaton from 1938 - 1964. Chandler worked as a turner at the Swan Hunter shipyard and Parson's engineering works before becoming a full-time musician. It was whilst working as a shipyard turner that Chandler leaned to play guitar in his spare time, and later bass. He then went on to become the bassist in the band, the Animals. Later he switched to producing and management; notably including managing Slade and Jimi Hendrix. Chandler is said to have brought Hendrix to the Newcastle in 1966, where he busked on Chillingham Road in Heaton. 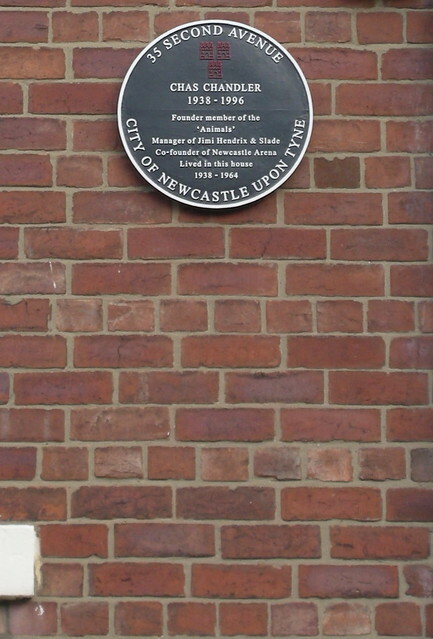 Chandler was a co-founder and funder of Newcastle Arena, which opened in 1995. Chandler died following a heart attack on the 17th of July 1996, aged 57, at Newcastle General Hospital. Bryan James "Chas" Chandler (18 December 1938 – 17 July 1996) was an English musician, record producer and manager, best known as the original bassist in The Animals. He also managed the band Slade and Jimi Hendrix, about whom he was regularly interviewed until his death in 1996. 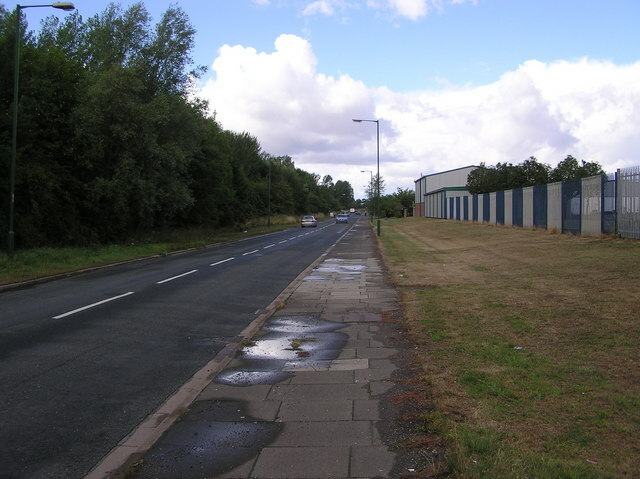 Chandler was born in Heaton, Newcastle upon Tyne. After leaving school, he worked as a turner in the Tyneside shipyards. Having originally learned to play the guitar, he became the bass player with The Alan Price Trio in 1962. After The Animals underwent personnel changes in 1966, Chandler turned to becoming a talent scout, artist manager, and record producer. During his final tour with The Animals, Chandler saw a then-unknown Jimi Hendrix play in Cafe Wha?, a Greenwich Village, New York City nightclub. At the time Hendrix was performing under the name "Jimmy James". In September, Chandler convinced James to accompany him to Britain, which was made possible with the help of Michael Jeffery, who suggested that he revert to his actual name, and later suggested naming the band the Jimi Hendrix Experience. In Britain, Chandler recruited bassist Noel Redding and drummer Mitch Mitchell as the other members of the Experience. His enthusiasm fueled Hendrix during the early days, but halfway through the recording of his third album in 1968, Electric Ladyland, much had changed within the band's framework. Chandler was a key figure in Hendrix's rise to critical and commercial success. Chandler provided the young musician with living accommodations and financed the Experience's first single "Hey Joe", before they had a recording contract. He was also instrumental in introducing Hendrix to Eric Clapton. It was through this introduction that Hendrix was given the opportunity to play with Clapton and Cream on stage. It was Chandler's idea for Hendrix to set his guitar on fire, which made national news when this idea was used at a concert at the Finsbury Astoria Theatre and subsequently at the Monterey Pop festival. Hendrix's sound engineer Eddie Kramer later recalled that Chandler was very hands-on with the first two Hendrix albums, adding that "he was his mentor and I think it was very necessary." By 1968, Chandler had become fed up with the recording sessions for Hendrix's album Electric Ladyland, claiming they were self-indulgent. He left management services in the hands of Jeffery during the following year. Chandler then managed and produced the British rock band Slade for twelve years, during which they achieved six number one chart hits in the UK. Chandler bought IBC Studios which he renamed Portland Recording Studios, after the studio address of 35 Portland Place, London and ran it for four years until he sold it to Don Arden. Chandler also ran a series of record labels from the studios including Barn Records and Six of the Best. He formed a music publishing agency, as well as a production company and management companies. He also had a brief stint in which he produced the Philadelphia-based rock group Horsepower-EMI Records, founded by Michael James Kennedy and Gary Marshall Marucci 1978-1994. Chandler had one son, Steffan, from his first marriage. He later married Madeleine Stringer, with whom he had a son, Alex, and two daughters, Elizabeth and Katherine. Text from Wikipedia, available under the Creative Commons Attribution-ShareAlike License (accessed: 11/05/2018). Visit the page: Chas Chandler for references and further details. You can contribute to this article on Wikipedia. 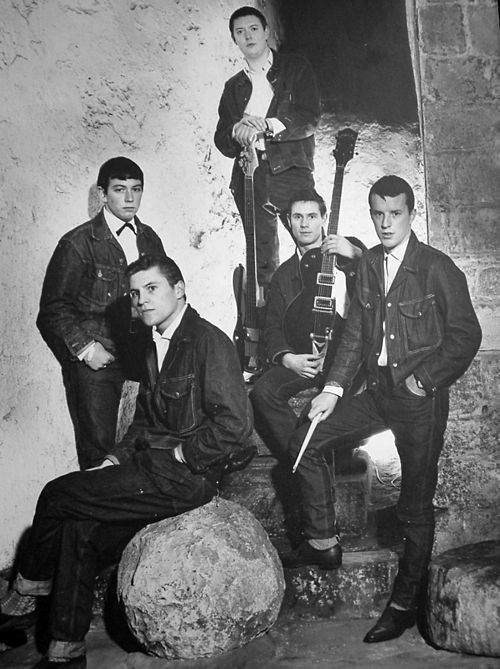 - "Posing for publicity in 1964: from left to right, Eric Burdon (vocals), Alan Price (keyboards), Chas Chandler (bass), Hilton Valentine (guitar), John Steel (drums)".